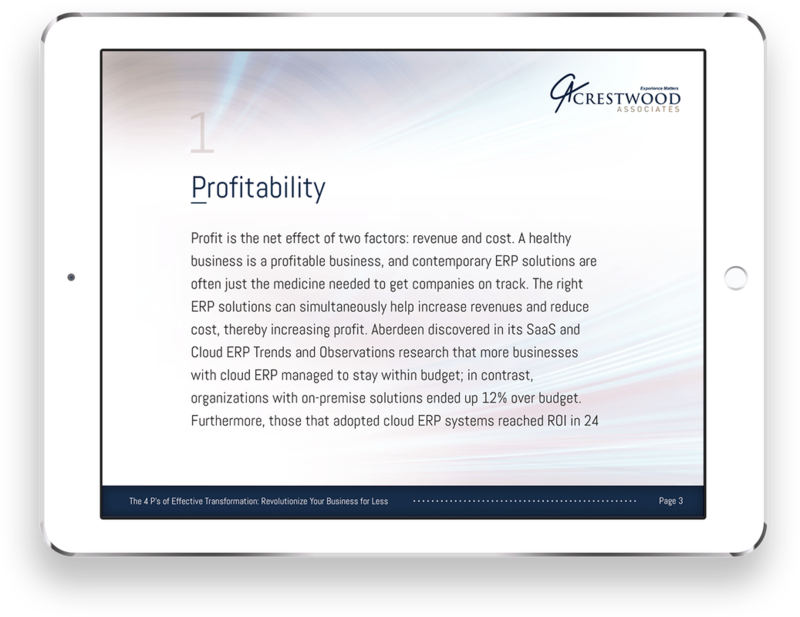 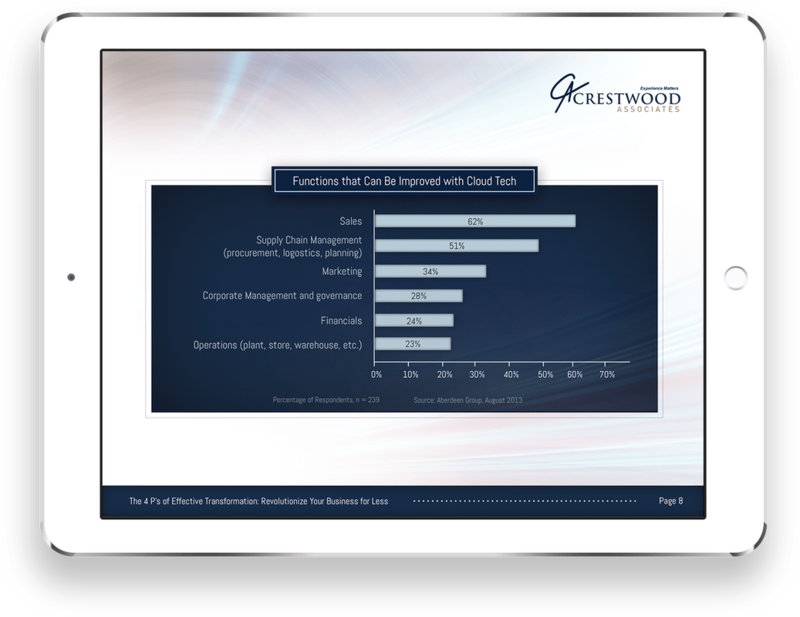 Crestwood Associates helps businesses maximize profitability with ERP (Enterprise Resource Planning) solutions. Bright Orange Thread, an online marketing agency, worked with Crestwood to develop a white paper and contacted PROSPER to design the white paper. 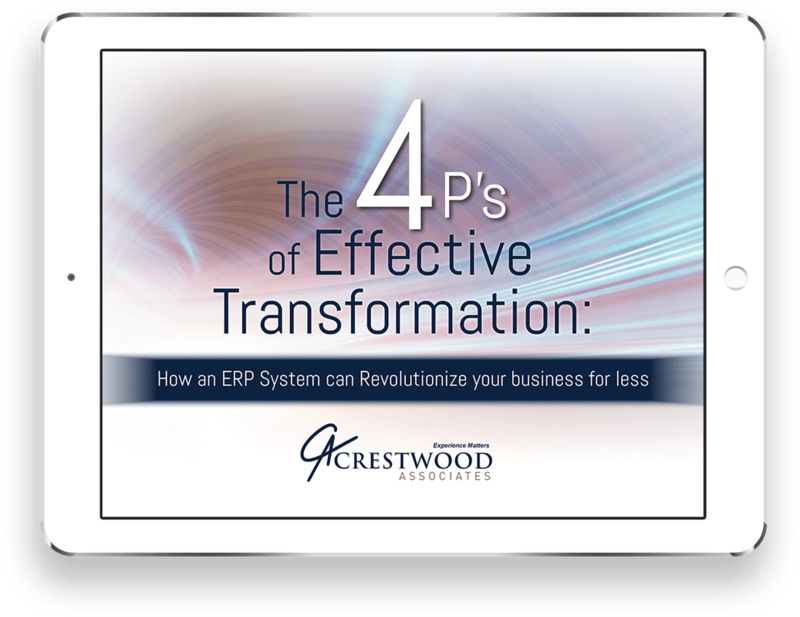 PROSPER gave the white paper an innovative look and it became an effective marketing resource on Crestwood's website.